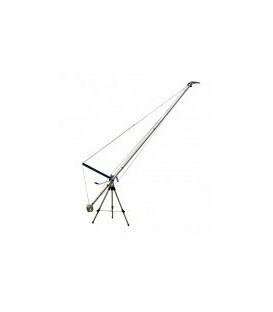 Crane Speedy extansion kit 6 to 9 m.
Light construction with square profiles 9 x 9 cm 3.54 inch, provides extreme rigidity. The Crane 120 - 9M rounds up the spectrum of the light cranes. 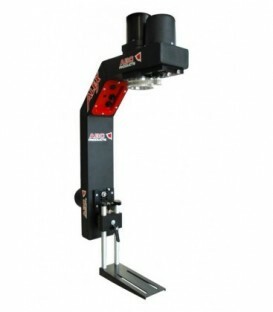 It essentially differs by its expandability on up to 9 m arm length. The Crane 120 - 12M rounds up the spectrum of the light cranes. It essentially differs by its expandability on up to 12 m arm length. Extremely short assembling times! Complete assembly in approx.10 minutes! 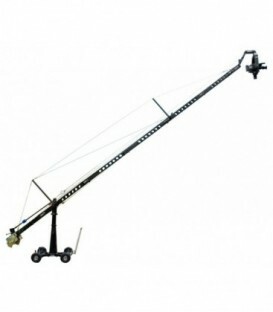 MiniCrane extansion kit for version 350 to 520. The desire for a Remote Head arose from the great success of our light cranes among many users with the same qualities: Built up uncompromisingly, transportable and ready in a few minutes. CinemaPro head with Full Function Control Box & 2 Axis Hand Wheels ( Joystick Control, Tilt and Zoom). Compatible with Maya, Kuper, and Alias. Includes 15m control cable, 9 m power cable, Power Supply & Case. CinemaPro Head with Full Function Control Box ( Joystick Control, Tilt and Zoom) & Encoded Pan Bar. 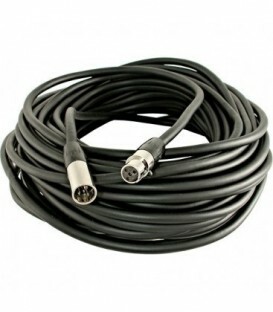 Includes 15m control cable, 9 m power cable, Power Supply & Case. 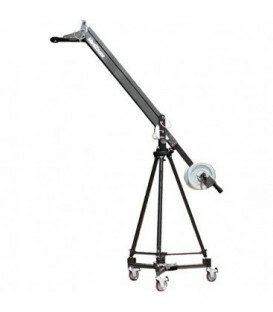 Accommodating heavy or light tripods with mid level spreaders. This dolly folds down into a compact size for easy transportation. 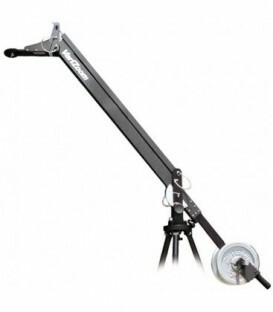 Max Load Capacity: 63.5 Kg / Max Leg Exension from Center: 44.5cm / Unit Weight: 4.5Kg. 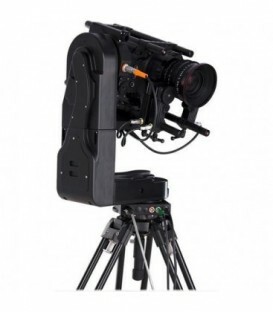 Remote Pan and Tilt Head for Cameras up to 13.6Kg. Head Weigiht: 3,855 kg / Head Dimensions: 56 x 28 x 12,7 (cm) / Case Dimensions: 81,3 x 44,5 x 33 (cm) / Total case Weight: 13,5 kg / Max Manipulation Distance: 150m. 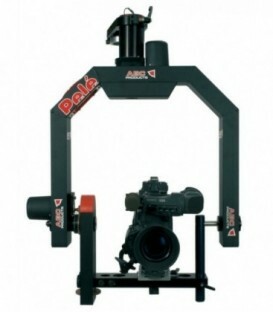 Remote Pan and Tilt Head for Cameras up to 5.4Kg. Head Weigiht: 3,7kg / Head Dimensions: 56 x 28 x 12,7 (cm) / Case Dimensions: 81,3 x 44,5 x 33 (cm) / Packed Weight: 12.7kg / Max Manipulation Distance: 150m. 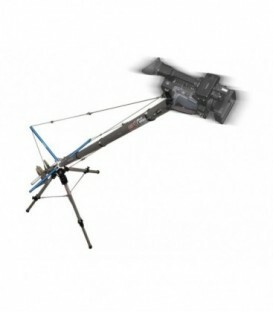 QuickJib Kit with Extension Kit, DCR100 Dolly, TCR100 Tripod & MC100 Motion Control System. Supports Cameras Up to 13Kg. Extends to Nearly 4.2 meters. Stainless Steel Fasteners, No-tools Assembly. 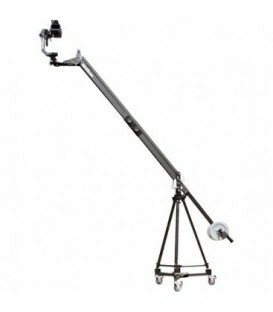 QuickJib Kit with Extension Kit, DCR100 Dolly, TCR100 Tripod & MC50 Motion Control System. 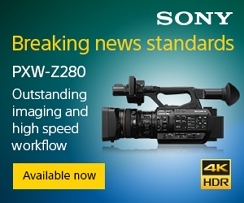 Supports Cameras Up to 13Kg. Extends to Nearly 4.2 meters. Stainless Steel Fasteners, No-tools Assembly. 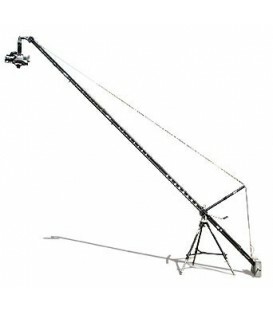 12 Film & Video Crane incl. VZ-TCR100 Tripod, VZ-D100 Dolly & Crane Soft Case. Standard Crane Configuration - 143 Max Cam Ht. 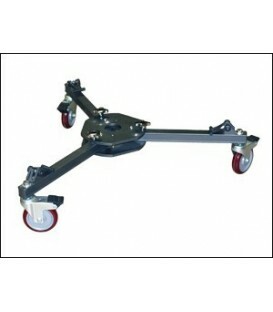 / 126 Vertical Movement, Possible to build 3 length configurations, Custom Free-Wheel Dolly. 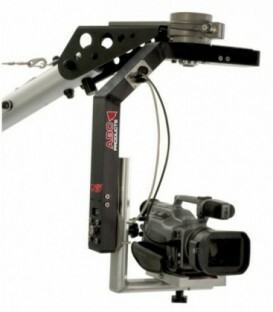 Ultimate 12 Crane System Film & Video Crane incl. VZ-TCR100 Tripod & VZ-D100 Dolly, TFT7U & MC100. 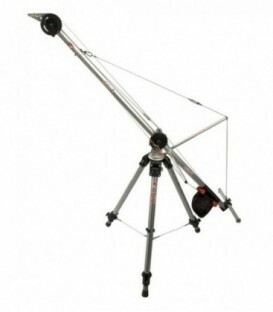 Standard Crane Configuration, MC100 - Electronic Motion Control Head (Pan and Tilt) & Crane Soft Case. 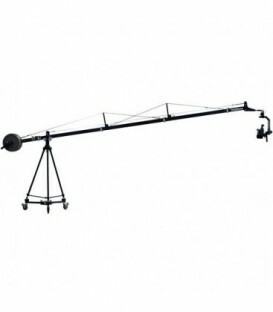 16 Film & Video Crane incl. VZ-TCR100 Tripod, VZ-D100 Dolly & Crane Soft Case. Crane Configuration - 183 Max Cam Ht. / 166 Vertical Movement, Possible to build all 4 length configurations, Custom Free-Wheel Dolly. Ultimate Crane System incl. 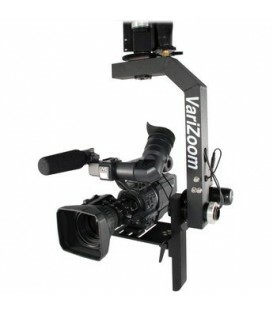 VZ-SnapCrane16, VZ-TCR100 Tripod, VZ-D100 Dolly, TFT7U & MC100 Electronic Motion Control Head (Pan and Tilt).